This week’s Nintendo eShop update for North America proves to be another quiet one, with new releases few and far between. 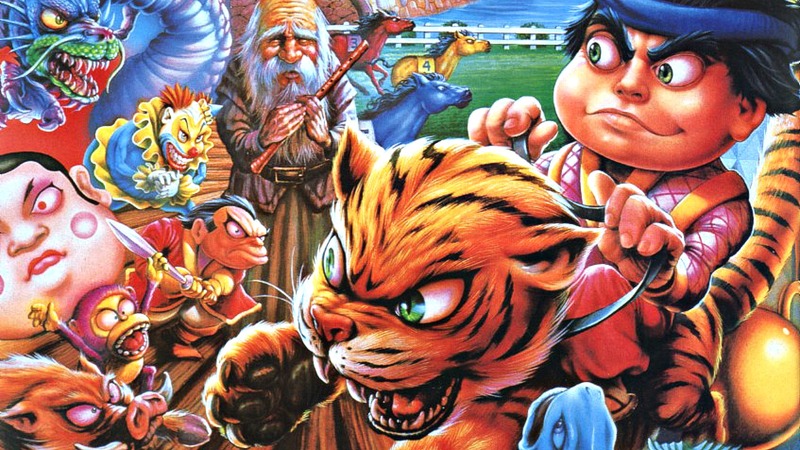 The Virtual Console service on Wii U adds Culture Brain’s Baseball Simulator 1000 and Flying Dragon: The Secret Scroll, while New Nintendo 3DS welcomes Legend of the Mystical Ninja. Meanwhile Steel Lords and Tap Tap Arcade 2 see release on Wii U. Originally released for the NES, this fun baseball game lets you play a full-length season with six teams in a race for the pennant. You can even auto-simulate the game and edit your team’s players. And if you’re tired of the traditional baseball dynamics, use Ultra Plays to make your pitches disappear, make your hits explode or knock down opposing fielders. Set off on a journey to complete the mystical Mandara Seal and activate its magical powers in this NES action game. Face tough challengers and use six different types of fighting techniques to your advantage. Work your way to the World Tournament and defend the world from the legions of darkness. Steel Lords is a game of strategy and fighting, combining elements of a boardgame with elements of a fighting game. The factions of light and dark are engaged in battle and you will be in charge of one of them. Play against the AI opponent or another human player. Supports off-TV Play mode. Tap Tap Arcade 2 contains Skeasy and Volcano. Skeasy is a simple, addictive, high score chaser – set in a winter wonderland. Slide down the White Mountains avoiding the trees as you rack up a high score. Bundle up, its cold! While Volcano is an exclusive all new adventure – watch out for the lava chasing after you! In this Super NES classic, take control of Kid Ying and Dr. Yang in an action-adventure through feudal Japan. Overcome 10 levels of the Dragonbeast to save Princess Yuki, battling through stages of intense 3D and 2D zones filled with zany characters and fun mini-games. So many great titles languish on the Wii virtual console while the Wii U gets…Baseball Simulator 1000.